Having trouble locating your Lamberville Eye Doctor? See Doylestown – the Location of Your Leading Eye Doctor! We serve Doylestown and all of Bucks County, Pennsylvania, with a full range of exceptional eye care services. Our eye doctors are highly qualified and experienced with patients of all ages. We welcome you to bring your whole family, from infants to seniors, to visit our convenient Doylestown optometry practice. Do you need an eye exam or vision testing? Our office is equipped with the latest high-tech devices to ensure your precise eye examination. If you have an eye disease, such as macular degeneration, glaucoma, diabetic retinopathy and cataracts, our eye doctors will monitor and treat your condition to prevent vision complications. If you suffer from eye irritation or the annoying symptoms of dry eye, we offer treatment to relieve your discomfort. 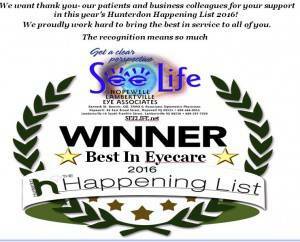 We strive to bring clear, comfortable and healthy vision to all our Doylestown patients! If you have an up-to-date vision prescription, stop in anytime to choose stylish eyewear from our selection of designer frames. Our opticians will help you select the perfect eyeglasses! If you need a new prescription, please schedule an eye exam in advance. Based on the results of your visual acuity screening, we’ll issue you a detailed vision prescription for eyeglasses and contact lenses. Now that you have sharp vision, fashionable eyewear, and healthy eyes, let’s take a look at all the attractions in Doylestown! This city has a rich heritage, and therefore many sites are listed on the National Register of Historic Places. One of the most striking spots to tour is Fonthill mansion. The architecture of this castle is magical and awesome, set in the midst of perfectly landscaped grounds. Be sure to check out the oddly shaped rooms and go up and down the many winding staircases. If you’re looking for another family activity in keeping with the castle theme, head to Kids Castle park. Young kids love this amazing recreation unit! Across the street from Fonthill is the Mercer Museum, which features some quirky objects from the everyday life of an American around 1900. Next door, art lovers will enjoy a visit to the James A. Michener Art Museum. There are many permanent works of art, as well as special exhibits. Also in Doylestown is the impressive Aldie Mansion, which is a Tudor mansion that dates to 1927 and currently hosts many events. Perhaps the most unique site is the Moravian Pottery and Tile Works. Take a self-guided tour around this grand renovated building to watch the old methods of tile making in practice. 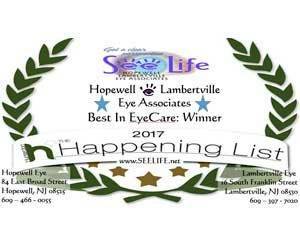 At Hopewell and Lambertville Eye Associates, our eye doctors won’t show you around Doylestown, but we will provide you with crisp eyesight to appreciate the surroundings. We look forward to seeing you! 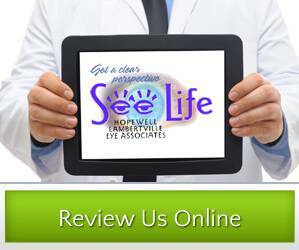 Looking for an Eye Doctor in Doylestown? Our eye clinic in Lambertville is conveniently located to offer our comprehensive eye care services to residents of Doylestown. Using only cutting edge technology and techniques, our Optometry Clinic will help to improve and preserve your vision so you can see and feel your best.